AMG builds a ton of cool cars, but these are our favorites. AMG started off as a small, German race team that eventually started to build awesome, tuned Mercedes cars. Mercedes eventually bought AMG and turned it into its performance division to rival the BMW M division. Over the years, AMG has built some of the coolest cars in the world, some that are more well known than others. AMG now puts its badge on pretty much every car in the Mercedes lineup, with some people arguing it has diluted the brand's appeal. We still love AMG and took the time to choose our five favorite AMG cars of all time. The Mercedes SLS was flawed in many ways, but it is still one of our favorite cars from AMG. The SLS was eventually replaced by another car that will feature on this list, but we think that the SLS is destined to become a future classic. The SLS cost $220,000 when new, but prices have come down a lot since then. In fact, prices have recently risen due to the car's unique gullwing doors that will help it remain collectible. The SLS was powered by a 6.2-liter naturally aspirated V8 which produced 583 hp. The more powerful SLS Black Series produced 622 hp and is even more collectible at the moment. 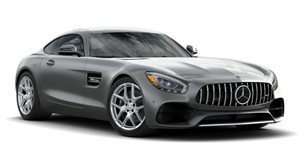 The Mercedes-AMG GT was the spiritual successor to the SLS, but does something that the SLS could never do, be a true rival to the Porsche 911. Other companies have been trying since the 911's inception to create a rival that could match it. We think that the AMG GT is the closest that anyone has come in a long time. The car is powered by a 4.0-liter twin-turbo V8 which produces between 456 and 503 hp. This may not be as much as the old SLS, but the GT is just as quick due to its lighter curb weight. The best part about this car is that Mercedes has mastered making a turbocharged engine sound as good as a normally aspirated one. Even Porsche hasn't pulled off that trick yet. The Mercedes G-Class seems like the last thing that a performance division would ever want to get its hands on. Although, AMG did do a V8 version of the R-Class minivan in the past, so anything is possible. AMG already goes wild by stuffing a twin-turbo V8 and V12 into the G-Class, but the tuning division went absolutely insane with the 6x6. The G63 6x6 was mainly built for customers in the Middle East that could afford its $633,795 price tag. The car had insane off-road capability thank to portal axles and six-wheel-drive with three locking differentials. AMG has even done a "normal" four-wheel version of this car called the 4x4 Squared, which still has an insane price tag. The Mercedes CLK GTR is a very special car because it was originally designed for racing at LeMans. Homologation rules stipulated that the manufacturers had to produce a few road-legal versions of their cars in order to compete, so the CLK GTR was born. The cars was powered by a mid-mounted 6.0-liter V12 with 603 hp. Power was sent to the rear wheels through a six-speed sequential manual transmission. The car could hit 60 mph in 3.8 seconds and go over 200 mph. When new, the car cost over $1.5 million, making it the most expensive car in the world at the time. Only 25 were ever built, five of which were roadster versions. This may look like a run-of-the-mill Mercedes SL from the '90s, but it is far from it. The Mercedes SL73 is perhaps the coolest car that AMG ever built. Even though the car looks completely tame on the outside, under the hood lurks a 7.3-liter V12 engine which produces 525 hp. Only 85 of these cars were ever built, but it did make a massive impact in the automotive world. Horatio Pagani loved this engine so much that he had AMG build it for his Zonda supercar. Even though most people have never heard of the SL73, it was an incredibly important car for AMG and our all-time favorite. Let us know in the comments what your favorite AMG car is!